When a blockage happens in your lymphatic system, swelling of your arms or legs may occur, as the fluid is not able to drain properly. Improper drainage results in a build-up of the lymph fluid in your arms and legs, which can generate adverse health risks. If you are suffering from lymphedema, contact Partners in Physical Therapy today to find relief! Lymphedema typically occurs as a result of surgical treatment involving the lymph nodes. It is most common in surgical cancer treatments where the lymph nodes are removed or damaged. However, the cause of primary lymphedema isn’t always clear, and your physician may want to take additional imaging tests in order to look at your lymphatic system. This may include an MRI scan, CT scan, Doppler ultrasound, or lymphoscintigraphy. At Partners in Physical Therapy, we will design a personalized treatment plan to treat your lymphedema. This plan will be dependent upon your physical evaluation, health history, and the severity of your symptoms. For lymphatic treatment plans, the focus will be put strongly on manual therapy and light exercises. Exercising the affected limb(s) also encourages lymph fluid drainage. Your exercise plan will be designed by one of our Lake Charles physical therapists and will involve gentle contractions of the muscles to regain function and improve your range of motion. 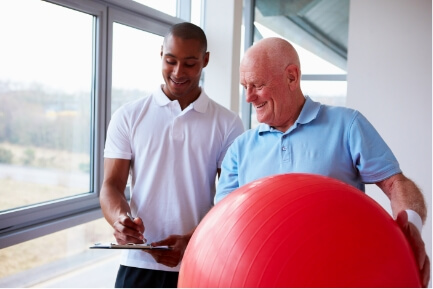 Additional treatments, such as wrapping, compression, or complete decongestive therapy may also be added to your treatment plan as our physical therapist deems fit. Contact our Lake Charles, LA physical therapy office today if you are dealing with lymphedema and need some relief. Partners in Physical Therapy will help reduce your lymphedema symptoms and improve your daily life. Your pain-free movement starts here!